Whether your 5-year-old purposely tries to bring home a toy from daycare or your 14-year-old steals nail polish from the store, discovering that your child stole something can be horrifying. But an isolated incident doesn't mean your child is destined for a life of crime. A healthy response from you can prevent stealing from becoming a habit. If your child steals something, intervene right away. Use discipline strategies that teach your child stealing is wrong and deter him from taking things that don't belong to him ever again. It’s common for preschoolers to take other people’s belongings. At this age, they lack a clear understanding of how stealing affects others and how it can be harmful. They also might take something from a store simply because they don't understand economics. The concept of buying something just doesn't compute. It'’s a great time to begin teaching your child about empathy and why stealing is wrong so he can learn to respect other people’s property. Hold regular conversations about the importance of leaving other people's belongings alone. 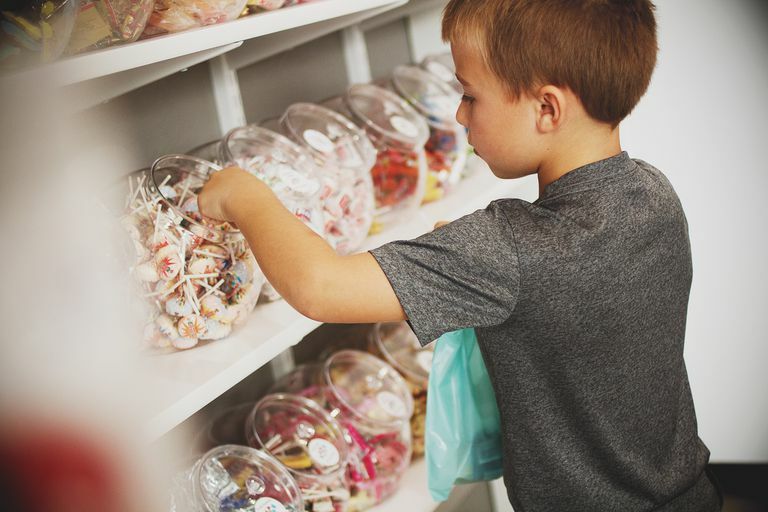 Elementary and middle-school age children often struggle with impulse control. They may quickly put an object they want into their pockets without considering the consequences. Teach your child impulse control to prevent stealing. Junior high and high school students may steal because it’s “cool.” They can be peer pressured into taking goods from the store or stealing money from an unattended bag in the locker room. At other times, teens steal because they want to have nice items that they can’t otherwise afford. Finally, some teens steal as a way to rebel against authority. At this age, they’re likely to face legal issues if stealing isn’t addressed effectively. Whether your child has brought home suspicious items from school that he claims were a gift, or you’ve caught him taking something from a store, the way you address the problem will influence the likelihood that he'll steal again. Emphasize honesty – Frequent conversations about honesty can go a long way to prevent lying and stealing. Always provide your child with a less serious consequence when he tells the truth and provide plenty of praise whenever you catch him being honest about misdeeds. Teach your child to respect property – Help a young child understand ownership by making him responsible for his belongings. For example, talk about the importance of treating his toys gently. Create rules about respect that ensure everyone asks before borrowing items. Discuss the importance of taking good care of borrowed items and returning them to their owner. Return stolen goods – When you catch your child with stolen items, it’s important that your child return the stolen goods and apologize to the victim. Assist your child in writing an apology letter or accompany your child to return the stolen items. Provide consequences for stealing – A child who constantly takes his brother’s favorite toys without permission may benefit from loaning his toys to his brother. Taking away privileges can also be a logical consequence. An older child may have to do extra chores to earn the money he needs to pay someone back for stolen goods. Problem-solve future strategies – Work together to problem-solve strategies that will reduce the likelihood of further stealing incidents. You may need to remove temptations for a while. For example, don’t allow your 13-year-old to be unsupervised with friends at stores. Or you may need to work on teaching your child better self-control skills before he’s ready to have another play date. Stealing could have many legal, social, and emotional consequences for your child. So if your discipline strategies aren't working to curb his stealing, it's important to take things a step further. If stealing has become an ongoing problem for your child, seek professional help. A professional counselor can identify underlying causes for stealing. Sometimes, mental health issues or behavior disorders are at the root of the problem. A mental health professional can assist you and your child with strategies that will put a stop to stealing.